David Bowie On The Ziggy Stardust Years: 'We Were Creating The 21st Century In 1971' In conversation with Fresh Air's Terry Gross from 2002, Bowie was in the midst of making and releasing Reality. Here, he talks about leaving characters in his songs and his love of Tibetan horns. 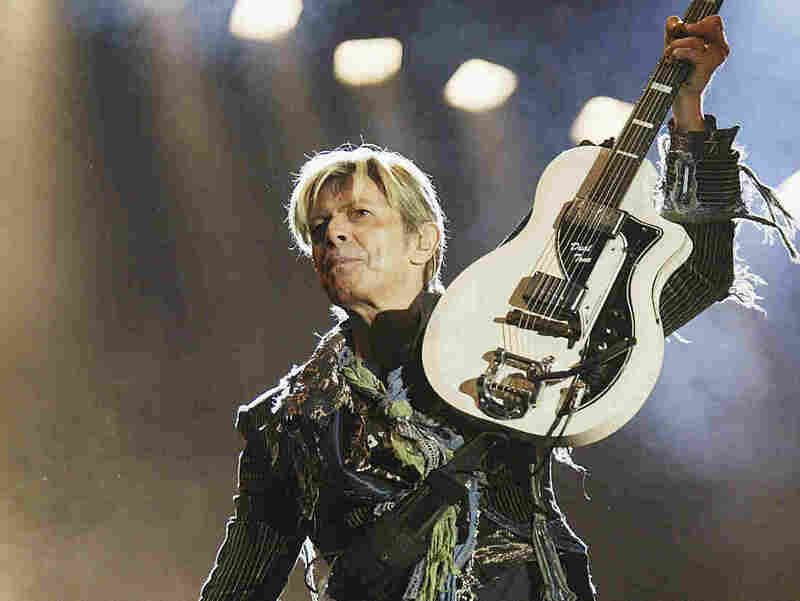 "I don't live for the stage," David Bowie told Fresh Air's Terry Gross. "I don't live for an audience." It's been more than 40 years since David Bowie created the gender-bending Ziggy Stardust and released the now-classic album The Rise And Fall Of Ziggy Stardust And The Spiders From Mars. 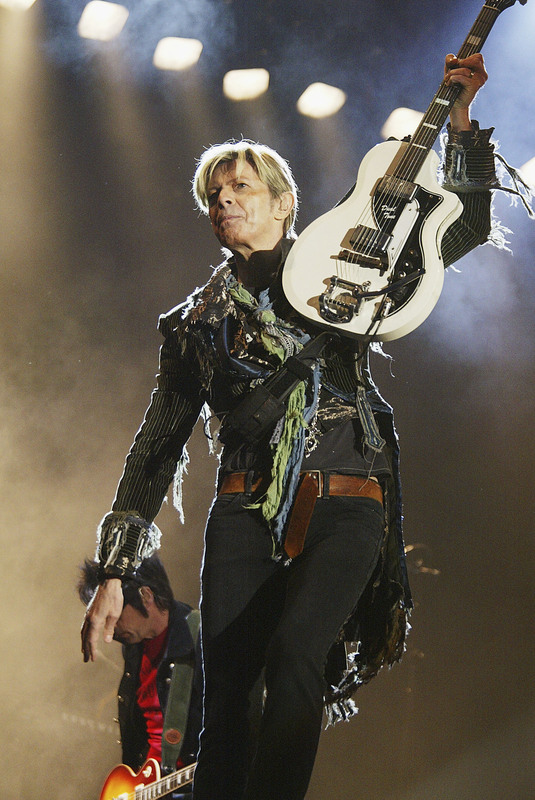 With it, Bowie helped invent glam-rock. In conversation with Fresh Air's Terry Gross from 2002, Bowie was in the midst of making the following year's Reality, and here talks about leaving characters in his songs, his love of Tibetan horns, and his childhood desire to write musicals and play saxophone in Little Richard's band. You can find the obituary version of this interview here. Frankly, if I could get away with not having to perform, I'd be very happy. It's not my favorite thing to do. As I said, I don't mind trying it out and making sure something seems to work well, but I really do rather want to move on because I think it's rather a waste of time, endlessly singing the same songs every night for a year, and it's just not what I want to do. What I like doing is writing and recording — much more on, I guess, on that creative level. It's fun interpreting songs and all that, but I wouldn't like it as a living. I guess the simple one-liner is that myself and my mates and, I guess, a certain contingent of the musicians in London at the beginning of the '70s were fed up with denim and the hippies, and I think we kind of wanted to go somewhere else. And some of us, I think, us more pompous arty ones, probably read too much George Steiner and kind of got the idea that we were entering this kind of post-culture age, and that we better do something post-modernist quickly before somebody else did. Some of us were failed artists, or reluctant artists. The choices were either, for most Brit musicians at that point, painting or making music, and I think we opted for music. One, because it was more exciting, and two, because you can actually earn a living at it. But I think we brought a lot of our aesthetic sensibilities to it, in terms of we wanted to manufacture a new kind of vocabulary, a new kind of currency. And so, the so-called "gender-bending," the picking up of maybe aspects of the avant-garde, and aspects, for me personally, things like the Kabuki theater in Japan, and German expressionist movies, and poetry by Baudelaire, and it's so long ago now — everything from Presley to Edith Piaf went into this mix of this hybridization, this pluralism about what, in fact, rock music was and could become. ... It was a pudding, you know? It really was a pudding. It was a pudding of new ideas, and we were terribly excited, and I think we took it on our shoulders that we were creating the 21st century in 1971. That was the idea. And we wanted to just blast everything in the past. I never believed it. It always felt like you were trying too hard to look like the audience or something. That whole thing about the artistic integrity, which of course I've never bought into, with any artist, it's just not a real thing. ... I didn't say that wearing a glamorization of the rock artist was any truer. ... It's all artifice. I think my main point is that the T-shirt and denims thing, in my mind, was also an artifice. I didn't feel comfortable in that, because I didn't feel like one of the working men. I mean, I could never be a blue collar-y kind of Springsteen-y type artist because I don't believe I am that, and I don't believe I could ever represent that, and it is merely representation. Having not really written any generational songs, I think maybe two or three of the songs that I've ever written have any bearing on the age of the listener. My stuff tends to be far more concerned with the spiritual, and with subjects like isolation and being miserable, so I think that sort of touches on really any age group. So in my terms, they're just songs. The vehicle for those songs is a music that did indeed start as a youth-culture music, but it has aged well in itself and it has become a vast and complex thing now. There's so many subdivisions and styles and variations. No, it's just what I do. I wouldn't know how to write and play any other kind of music, frankly.